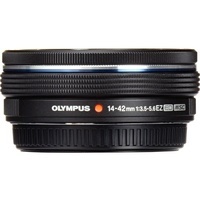 This versatile and high-quality pancake-style zoom lens is the perfect alternative for the standard 15mm lens on the X5 and X5R. 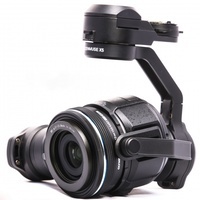 It's effective for aerial footage on the Inspire or ground shots from the Osmo. 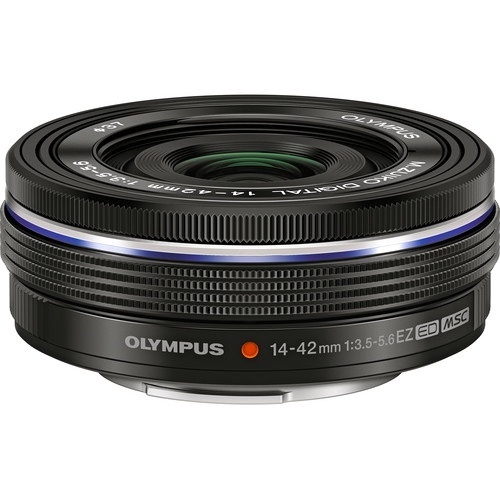 The M-Zuiko 14-42mm zoom lens is produced by Olympus as a premium Micro Four Thirds zoom lens and will fit both DJI X5 series cameras. 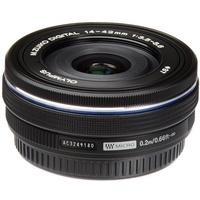 The focal length of 14-42mm is the equivalent of a 28-84mm range on a full-frame sensor. The F3.5 aperture at 14mm (F5.6 at 42mm) will stop down to F22, giving a good exposure range for a variety of lighting conditions. Compared to the 72 degree Field Of View of the standard DJI lens, the zoom offers a 75-29 degree FOV range, delivering much greater control over depth of field, enabling a more appealing separation between a focused subject and defocused background at the longer end of the zoom. 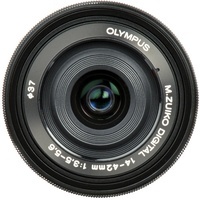 Constructed with 8 elements, it will focus from 20cm to infinity with fully electronic aperture control. The Movie-Still-Compatible (MSC) mechanism also provides a quick and silent zoom and focus mechanism both for movies and still photography. Both the zoom and focus functions are instantly controllable via the DJI Go app, meaning both can be operated from scroll indicators on your mobile device while the X5 is in the air or in any remote position. 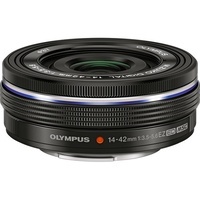 The 14-42mm Zoom Lens weighs just 93gm and will accept 37mm filters. The DJI Balancing Ring should be used with this lens.